We're a UK based company, family run, trading successfully since 2007. We are conveniently based to supply pet supplies and dog food to the following North Devon area's: Barnstaple, Combe Martin, Lynton, Lymouth, Parracombe and many more. We only sell products we would use on our own dogs. Created and launched in 2006 when we realised that there was a lack of innovative dog gear for those people who owned active dogs and the not so active. Our own dogs were /are working breeds with lots of energy. These dogs required products that would enable them to keep fit and stay active, quality products designed to last, products that are hard to find in your normal pet store. We can also source many brands of dog food. If we don't stock it we can usually get it within 48 hours. 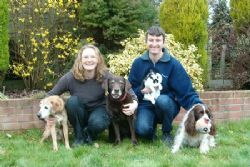 The team of pettastic is run and managed by Darren & Sarah and their faithful pack of dogs. We sell our range of products on this website and at various UK trade exhibition shows (trading under the name of PetTastic). If you wish to visit us at a show, please email us. 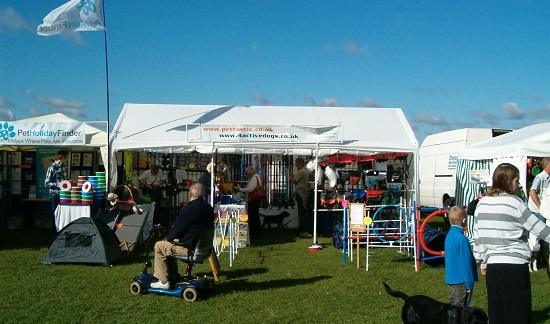 PetTastic was originally formed in 2006 selling innovative pet supplies via our website pettastic. In 2007 we realised the demand for active dog gear, hence we created 4activedogs.co.uk, running two websites got a bit tricky so we reverted back to one pettastic. We don't do so many shows now, but you will still find us at local events in Devon and charity events. Our latest adventure is our own Dog Friendly Accommodation in Devon. Holiday cottage & campsite.